Professor Shaun Holt, a medical researcher, stated exciting results from his work with New Zealand honey in pharmaceutical products. He said, "Recently published research has shown two things. First, manuka factor is important and will approximately double the anti-microbial effects of honey. And second, kanuka honey contains around double the amount of the main compound that comprises the manuka factor than most of the potent manuka honeys available." Researchers were shocked to discover that kanuka honey a little-known relation of the manuka actually has such a high manuka factor level. "That with the ongoing success of manuka honey, few people were interested in whether there might be even better honeys out there", suggested Professor Holt. He also said, "We have launched what we believe is by far the biggest programme of clinical trials on the medical uses of honey in the world, initially looking at eight conditions. Each one is a promising potential pharmaceutical in a billion dollar market. Everyone knows about the problems with antibiotic resistance, the World Health Organization say that it is one of the planet's biggest health risks, and for skin conditions the evidence suggests that honey may well be an answer." Professor Holt reported that he focused on skin conditions for his research. 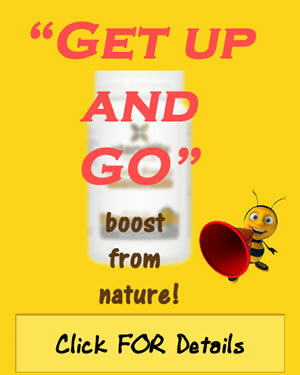 Even though many people intake manuka honey to be healthy, there is not solid proof that this is effective. However, there is overwhelming proof that when this same honey is applied to the skin that it is effective for treating skin conditions. The professor also stated this New Zealand Industry had put forth quite a bit of money for advertising, some for lab work, but there had been no one else working to prove the effect honey had on people medically through clinical trials. His plans are to make the company, HoneyLab that he helped create that next GlaxoSmithKlinw for the purpose of developing medicines using kanuka honey. Holt goes on to say while others have examined the honey's chemicals, his efforts have been on proving the effectiveness of pharmaceutical hone on people suffering with medical issues, and he has had favorable results.